BLURB: BACK COVER BLURB FOR KNIGHT BLINDNESS Ready for battle, Medieval English knight, Stephen Palmer, charges into the French enemy’s cavalry line. Heeding a warning given months before, he hesitates as he comes face-to-face with the knight in the warning. Struck down in the year 1356, he finds himself landing in the year 2013. Grievously wounded, he’s taken to a nearby hospital. Confused by the new world surrounding him, he attempts to convince the staff he’s from another time, only to find they think him mad. Rescued by friends, who, to his surprise, have also come through time, he must find a way to function in this odd modern England. He is quickly enchanted by the kind Esme Crippen, the young woman hired to tutor him. She too is enchanted by him. Tempted to deepen the relationship, she hesitates thinking him adorable, but mad. He must discover the means for getting her to believe the truth, all the while, unknown to him, he didn’t come forward in time alone. The enemy knight has also traveled to 2013. French noble, Roger Marchand, doesn’t question why the English knight who charged him hesitated. That fraction of a pause gave him the advantage needed and he brought his sword down upon the Englishman’s helmet hard, unhorsing the knight. He moved to finish the Englishman off when the world changed in a rush of sensations as he is ripped through time. Seeking a reason for the terrible event, he enters a nearby chapel. There, thinking God has chosen him for a quest to turn French defeat that day in 1356 to victory, he sets out to find the English knight. The man he is convinced holds the key to time. If he returns to the day of the battle, he can warn his king of mistakes that snatched victory from them. This is book 3 in the series, and this is my first look at this book. I really feel like I was missing a little bit, but still was able to follow along and enjoy the story. What happens when 2 hunky knights are dropped into our time? lol....Chaos and wonder!! The author did a wonderful job portraying first time visitors into our time. I laughed out loud a few times because of the descriptions. The vividness of the writing was very real!! Was it believable? Could I get into it? Absolutely!! You feel like your journeying right along with the characters!! The romance between Stephen and Esme is a delicious mixture of sweet and spicy. I would definitely recommend to all my time-traveler and Knight lovers. You won't be disappointed!! Tour wide Giveaway!!! Just enter the rafflecopter to win!! I want to thank Close Encounters for having me back. 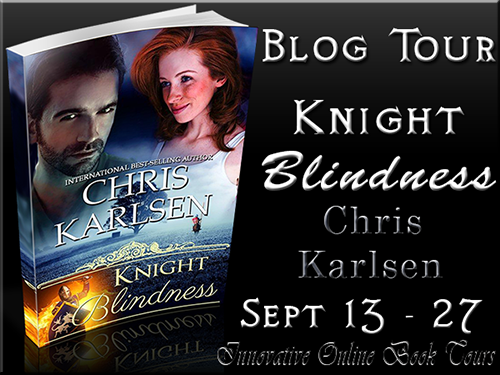 I also want to thank Nikki for taking the time to read Knight Blindness and for the lovely review. I look forward to hearing from her followers. I love to talk books. Sounds yummilicious. I want my own knight! 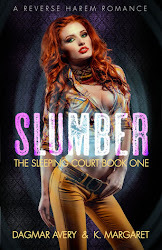 Thanks for introducing me to a new author and for this fun giveaway. Glad you liked the post. This book took me the longest to write. I wanted to bring both knights forward to show how each handled this modern world in his own way. 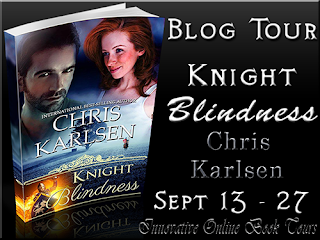 Knight Blindness will have a few free download days this month (if you have a Kindle). They're the 21st, the 28th and the 29th. 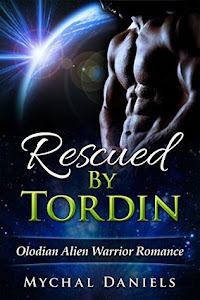 All three books in this series have knights for heroes. I have a special place in my heart for them too. Knight Blindness, as I mentioned in another comment, will have three free download days this month for Kindle users. They are the 21st, the 28th, and the 29th. this series sounds awesome! Thanks for sharing and congrats on the new release! Hi hope you are having a great day.This series sounds great I look forward to diving into it . Ooh...the excerpt is great! I am looking forward to reading it. I enjoy reading about knights. Thank you for visiting with me again. There's three free download days coming up for Knight Blindness if you have a Kindle. They are Sept. 21, 28, & 29. Thank you for the kind words. Good luck with the giveaway. Thank you, I am having a good week. I wish you good luck with the giveaway and hope your week is going well also. I'm so glad you liked the excerpt. I enjoyed writing this series. I too, have a soft spot for knights. 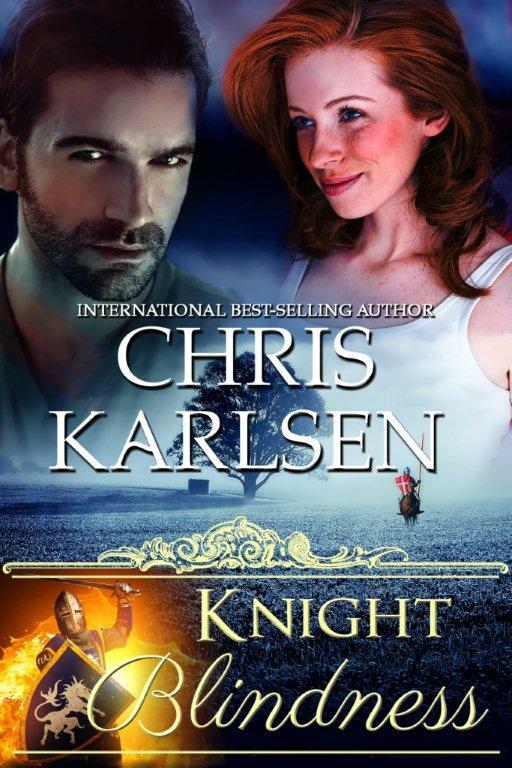 There will be three free download days for Knight Blindness this month, if you have a Kindle. They are Sept. 21, 28, & 29. If you don't have a Kindle, then the book will be available on the other platforms (Barnes and Noble, Smashwords, iBooks etc after Oct. 21. I am excited to read these book sin order. They all sound fascinating. I also live in the Pacific Northwest and have two rescue dogs. I love hearing you have rescues too. We have 5. Suki is a greyhound from a track rescue. She's elderly now. We got her at 2.5 and she's 10.5 now. We also have a Lab/Golden Retriever mix, Kozi, two black Labs, Sammy & Sascha, and a chihuahua/doxie mix, Trooper. They're our dear babies. Glad the series intrigues you. This series sounds really cool! I have not read too many books with Knights in them, never really wanted to before, but these books sound really interesting and make me actually want to read about them! I am putting them on my amazon wish list!! I bet my fiance' would love to read them as well! So much to love about KNIGHT BLINDNESS. 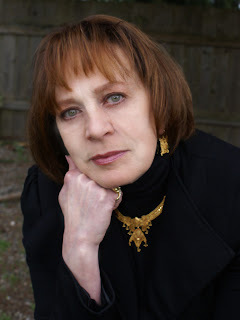 If your fiance likes thrillers, I have two books from a different series that are romantic thrillers. Those the romance is the subplot. They're set in Turkey and involve nautical archaeology. They're called: Golden Chariot and Byzantine Gold. How nice of you to stop and say hi again. I don't know if you read Knight Blindness yet, but it will have three free download days this month. They are Sept, 21, 28 & 29. If you recall the knight Stephen from Journey in Time, then you'll be familiar with this hero. It's that Stephen. Hi! Sounds like a great read!! Thank you. Good luck with the contest. Hello would love too win. Thanks for the chance. Sounds like a great series. Thanks for the giveaway.